Thank you to everyone who joined us for coffee, goodies and Christmas Wishes! 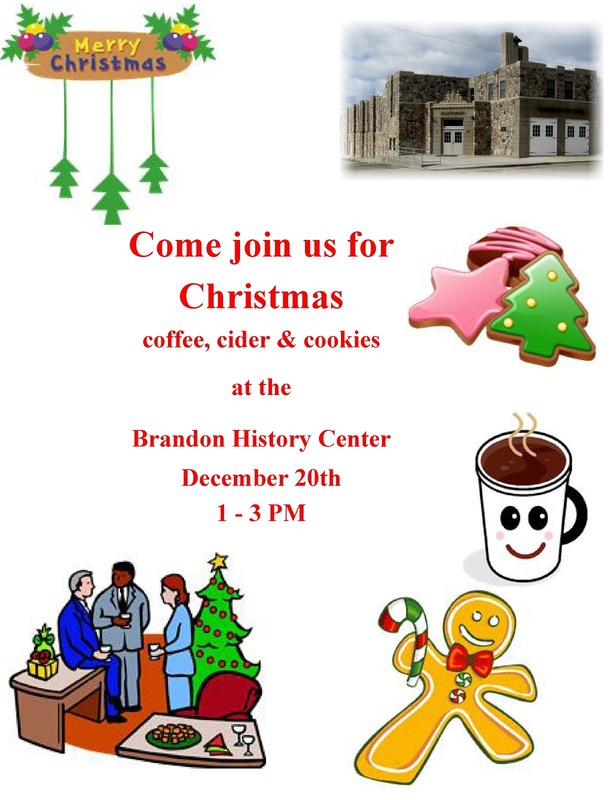 Come join your friends and neighbors for some goodies at the Brandon History Center. Use the main front door of the Brandon Auditorium. Check out our history displays. Register for Brandon Bucks. To collect, preserve and display articles, pictures and memorabilia from Brandon, Millerville and the surrounding area for future generations. To assist in the preservation of the Historic Brandon Auditorium and other local historic sites. Consider sharing your pictures of Brandon or Millerville.